Measurements: Stone measures 16mm x 11mm. 19mm long with loop. 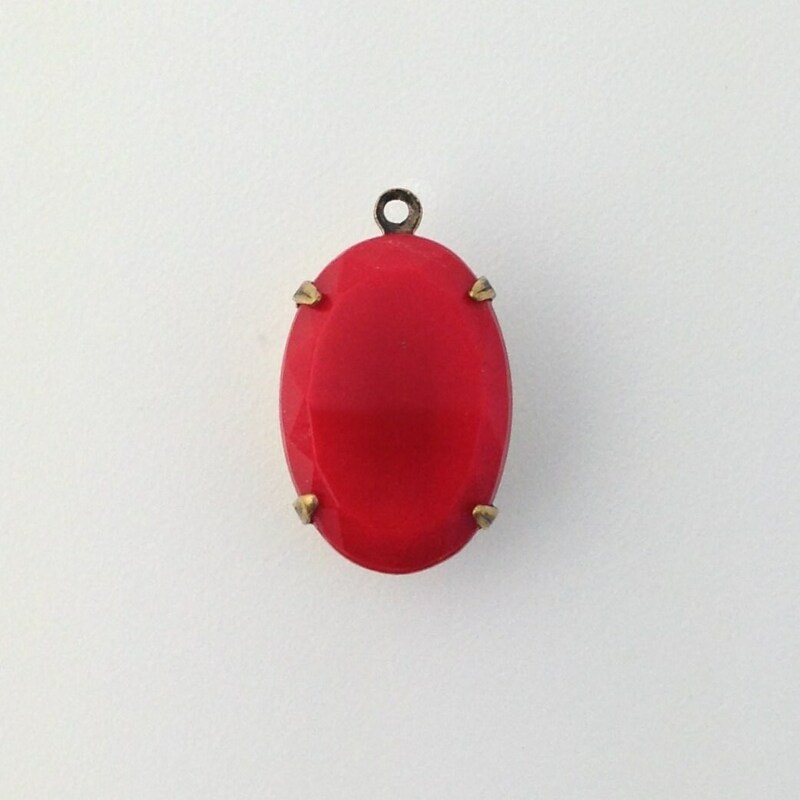 Color: Opaque red, brass ox. Some stones have darker areas of red within them. Material: Glass. brass ox plated brass.